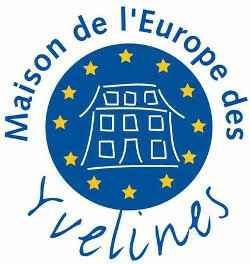 ME Yvelines - EU project "CitiPart - Cities' Partnership against extremism and populism"
CitiPart “Cities’ Partnership against extremism and populism” is meant to be an interactive network, discussing and reacting on current social and political events on local as well as on European level. Members of the network are towns, Europe Houses, European organisations well known in their countries for their involvement in active citizenship, town twinning committees and youth organisations. The close cooperation with local councillors will give the possibility not only to develop projects but also to carry them out with their help. An extremely low turnout in the European and other national elections, a bad social and economic situation, growing unemployment, especially youth unemployment, and a general tendency not to trust politicians any more are a fertile soil for the constant raise of various populisms and extremisms. CitiPart wants to react against those increasing tendencies throughout discussions and interactive workshops about the three fundamental European values which are SOLIDARITY, TOLERANCE and PEACE, foster the intergenerational dialogue and revitalize the exchange between citizens and their local councillors. CitiPart is co-funded by the Europe for Citizens programme. This entry was posted in EUNET, General on 13. June 2015 by Heckeberg.